beloved Alpine home town from the seemingly inevitable fate of slow extinction. to reach out beyond familiar borders. It was his 2012 Christmas present to his community. 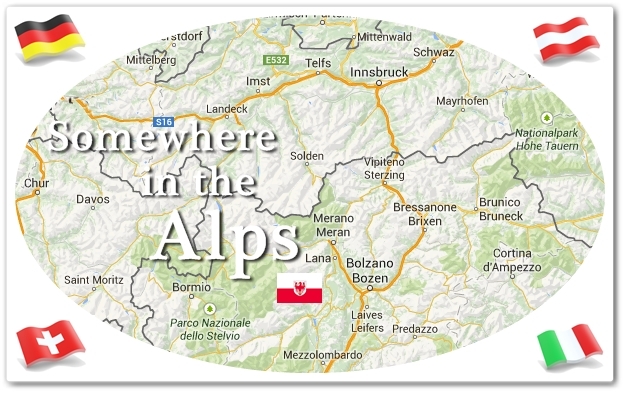 In the summer of 2012 the mayor of X-Dorf, a tiny village in the European Alps, attended an international congress on the future of remote Alpine regions. For many participants this future had a strong touristic focus and they were full of confidence. Others, like the mayor of X-Dorf, were deeply troubled because without tourism there was not much of a future to look forward to. X-Dorf had no touristic infrastructure, the village also had no budget worth talking about, the number of young families in the community had gone down considerably over the last decades, there was no work for qualified people and there were no economic prospects for the future, neither in farming nor in any other field of employment. There was not much hope and there certainly was no comfort in knowing that many other small communities shared this dilemma. In fact, the mayor could not even be sure that he would be able to hold his own job as a civil engineer without eventually having to move away. But he loved his village, he loved the mountains and he was determined not to give up. After the congress he spent a very thoughtful weekend contemplating his community's future prospects. In his spare time the mayor was studying, he did an online course on artificial intelligence. A week after the congress and right in the middle of a tutorial the solution to his problem came to him in a flash. "If Stanford, Harvard & Co can open up to the world then so can we!" "Access to the world, access to opportunity - that's what we all need!" It is part of human nature: We all want to learn and to work, want freedom to move and to think, long to feel welcome both to socialize and to seek solitude, to cater for all generations and for all talents. Remote places often have a hard time providing for these basic needs and a mayor can't - after all - shorten the distance from his village to more lively places. Everyone there was desperately trying to hold on to what was left, both to people and to traditions, whilst hoping that more new life would somehow turn up, perhaps as tourists, in the shape of government help and so on. But single-minded preservation suffocates progress! The idea of the Intelligent Open Village was born: X-Dorf should offer open minds and open doors, it would open itself and connect with the world online and offline to build its new future! The mayor decided to contact his tutor for advice. The tutor suggested to talk to The GlobalNatives.Club, a network for global minded families. ​Hans was welcomed with open arms there: "What works for families will work for communities!" ​Rise like a Phoenix ! "Of course we knew we didn't have much to lose. ​But we had no idea we still had so much to gain!" The mayor went on to put his idea before the village council and was met with overwhelming enthusiasm. ​His council members' reaction was unanimously positive. ﻿On Dec 23rd 2012 all families received a membership voucher to join the Global Natives Club so that they could connect across the globe with any family and for any purpose they wanted. What's more, the mayor and his team had put together a whole strategy of support to ensure the success of their global exchange village. A chronology of an exciting new beginning, not of the anticipated quiet ending. ​a life that would work for decades to come. A step-by-step program gave everyone the opportunity to participate their own way. First negotiations between X-Dorf's village council and our team at the GlobalNatives.Club. All families (more on the village's data here) are given membership to the club in a grand welcoming ceremony, celebrated by all generations at the first Intelligent Open Village party. Assessment of all real estate in the village. The council establishes contact with the owners of all unoccupied buildings and rents a total of twelve buildings at a low rate on the condition of doing all the necessary maintenance and restoration work. Local county government approves the development plans laid out by the village council and grants a five year support program to finance infrastructure with an initial focus on establishing reliable and fast internet access. The mayor contacts and negotiates with over 50 former villagers who have long built their lives elsewhere for professional reasons. Seventeen of them, most of them retired by now, fall in love with the project, they are happy and willing to return home to X-Dorf to act as tutors and consultants. The village gives them a cordial welcome. Launch of the IOV School of Global Competence. Free courses are held for all age groups throughout the summer to support every family's endeavours with international partners. English classes for beginners and for advanced speakers are in high demand, so are classes for all generations on the use of personal computers and tablets, on the web per se and on social media in particular. The Global Natives Club is sponsor for the hardware and provides 60 tablets. The first real person to person exchanges take place! Three teens leave home for a year to study abroad and X-Dorf extends a warm welcome to their exchange partners from Rome, Helsinki and Toronto - three lively kids who are just as eager to learn and to explore the Alps with their new host families. One grandma exchange seems very promising too, in return for sending one enterprising granny to Brighton (UK), X-Dorf can welcome a cheerful retired primary school teacher as a native speaker for their English classes. She soon proves to be a tremendous bonus to the school and feels at home straight away. 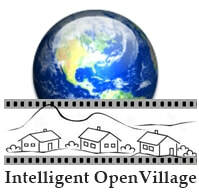 The Intelligent Open Village is one year old and thriving! The first two families move into their newly renovated homes: X-Dorf is growing! A web designer from Berlin and his wife, a professional translator, together with their baby twins are the first family to settle in X-Dorf. 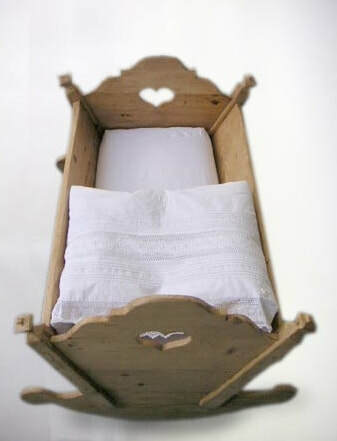 A week later the next couple arrives: an author and a journalist move into a farmhouse where they intend to bring the beautiful vegetable & herb garden to new life. Their first baby is due in June. A third family arrives: after many years in Zurich, Switzerland, an X-Dorf native has decided to return home and run his consultancy business online from a place with a spectacular view of the mountains. He's reached a point in life where he prefers birds' song in the morning to all-day traffic noise. Farewell party for the three exchange students and welcome home party for the three local kids who have managed a successful academic year abroad. They tell the village what they have seen and learned and write inspiring reports for the village's IOV wiki. The council members decides to launch an online community for the village and for all who are personally involved in the project. This will include the growing number of "IOV alumni"; local teenagers will set it up and explain how it works to everyone. We enter the second round of exchanging teenage students: this time six young people arrive and another six leave home for an entire school year. All exchanges are based on the Shared Mindspace principle which makes sure that the costs are kept at a minimum. Two Australians, three girls from the UK and one young man from Galway - six native English speakers are about to give the village's English speaking standards an enormous boost! X-Dorf celebrates its second anniversary ! The village agrees to have the IOV project publicized. However, after careful consideration the population decides to keep X-Dorf's real name and location undisclosed for the time being (more here). So far the Intelligent Open Village has been a great success: In early 2015 another two families will move to X-Dorf, not one family had to move away so far, the village primary school and the kindergarten have enough children to ensure continuity and the population's confidence in the future has never been better. The older generation is actively involved in all aspects of the project and has a lot of fun participating. Their help is much appreciated, particularly their input with maintance works in the twelve buildings rented by the council. Worth noting is the enthusiasm with which the young introduce their grandparents to the wonders of the world wide web and the curiosity it instils. In X-Dorf even the folks over 70 use social media (well, most of them). Public transport has significantly improved, the grocer from the nearest town has started a daily delivery service and the local inn is now open all year round. A lot has changed. 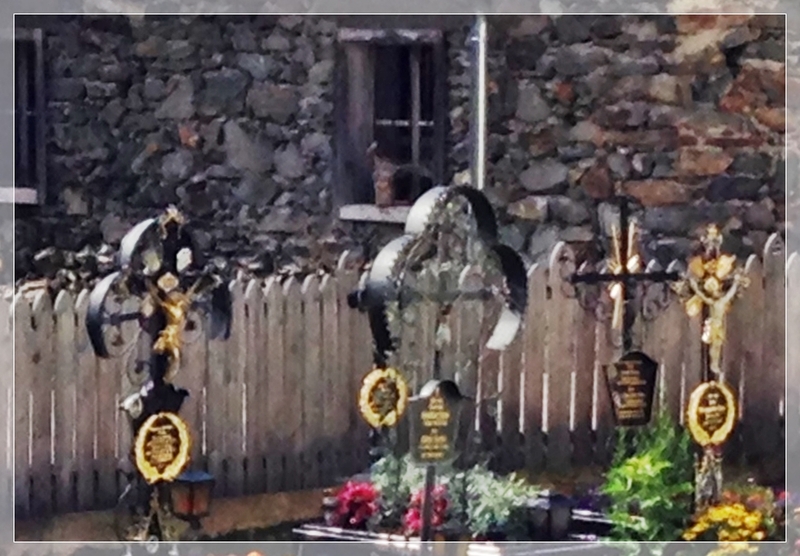 Today the people of X-Dorf are open to all things unfamiliar and undiscovered. They have rediscovered their traditional cordial hospitality and their village has become a haven for kids whose big city homes have been taking a toll on their health. The annual exchange program now focuses on a combination of language and health, exchange partners are mainly kids from very large cities. Together with their local peers they participate in a daily program of exercises and outdoor activities. A couple from Stockholm came to stay in early 2016, Jan is a general practitioner and Elsa a fitness coach. Both speak three languages and are doing a great job taking care of the entire community. This summer will see the arrival of three teenagers from Tokyo, one of them in the company of his granddad who will teach Japanese to everyone who is interested. X-Dorf in March 2018, including guests of all age groups: 382 adults and children respectively locals and visitors live here. ... not to mention a new fire engine for the local fire brigade plus over a dozen new volunteers in training! ​"Ours wasn't so much a growth mindset as a complete-and-utter-rethink mindset. I am still in awe how cheerfully everyone jumped into the boat with me, from the toddler to the 92 year old. I really am in awe." Family partnerships for language, knowledge and opportunity. If you want to go far, you will need a wider horizon. GlobalNatives.Org is a Community Interest Company. 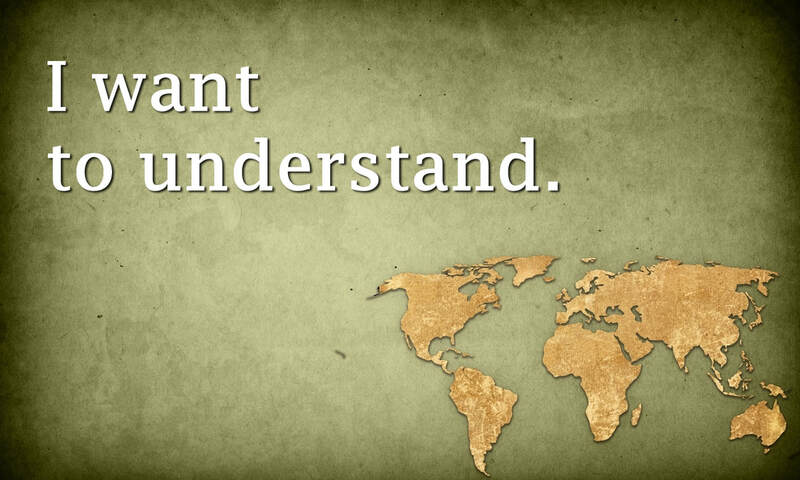 the world's cultures, languages, skills and experiences accessible. From family to family, affordable and unbureaucratic. ​Copyright 2012 GlobalNatives.Org - All rights reserved.